New year, new calendar! 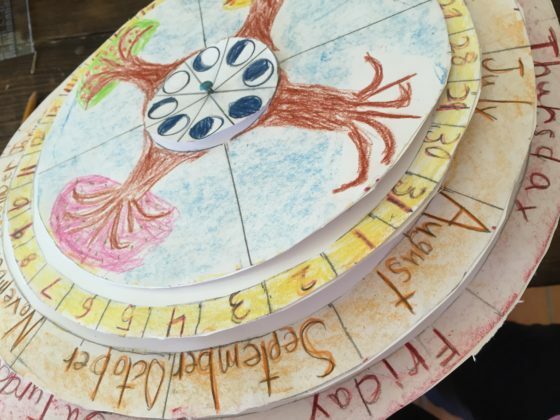 What fun my daughter had creating this perpetual calendar. 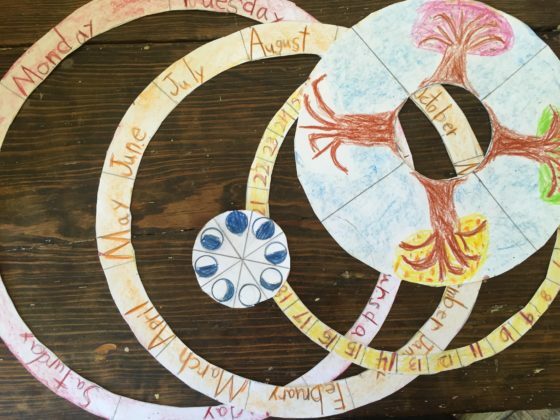 This finished calendar now hangs on the wall in our homeschool room. Here’s how to make your own. 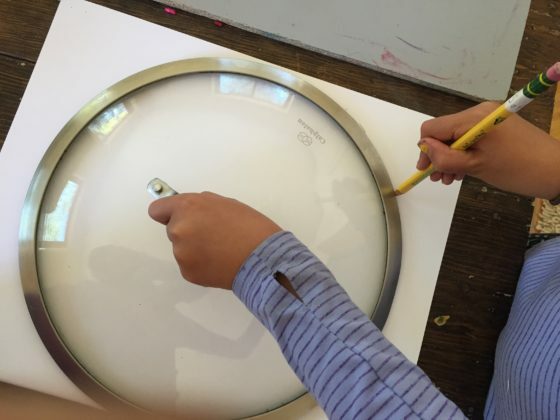 First draw 5 different sized circles on large paper by tracing round objects. Just go and look around your kitchen and you can find different bowls or pot lids. You decide the sizes. This is what it will start looking like. Now you can draw and decorate each section as you wish, dividing each ring into equal sections. 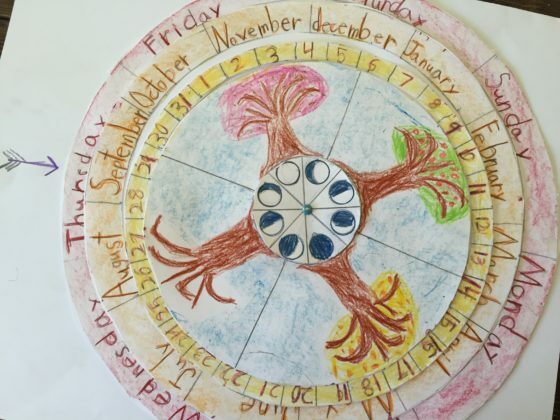 We used the outer ring for the days of the week, then months of the year, days of the month, seasons of the year, and lastly the moon cycles. Cut out the decorated rings like so. 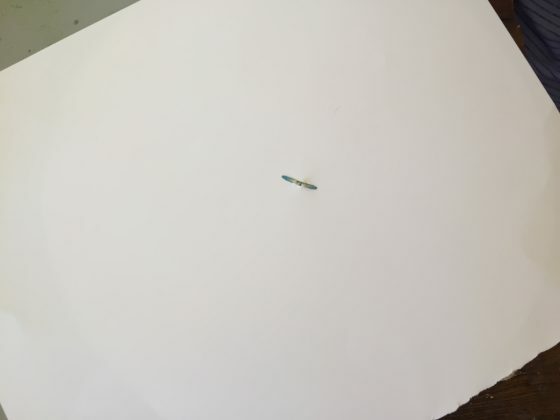 Next, glue each ring onto a separate large sheet of blank paper. 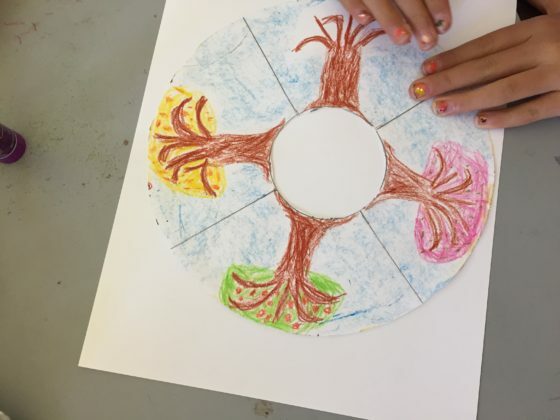 Press each glued ring onto the blank paper. Then, cut around the outer edge of the outer piece of paper. 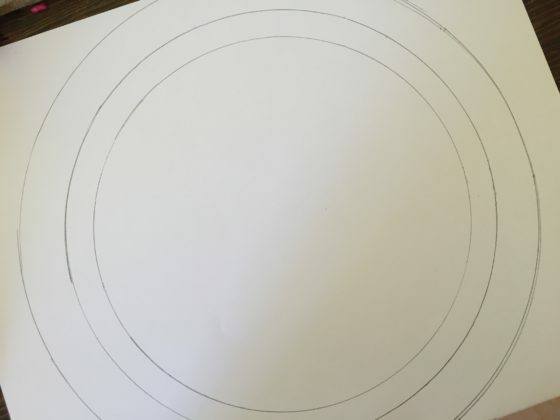 Do this process with each ring separately, so that each is backed with a solid piece of paper. Put all of the rings back on top of one another, so that they are stacked up. Find the exact center of the rings and mark it with a pencil. 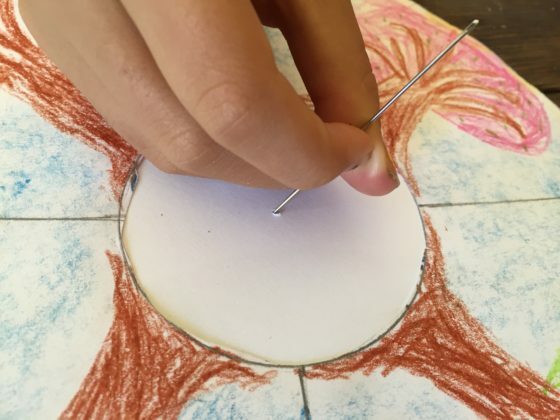 Push a hole through the center of all the rings with a thick needle or thumb tack. Put a brad through all of these holes, so that the rings spin, one on top of another. Get one more large piece of paper to use as a backing for the whole calendar. Push the needle through the center of this as well. 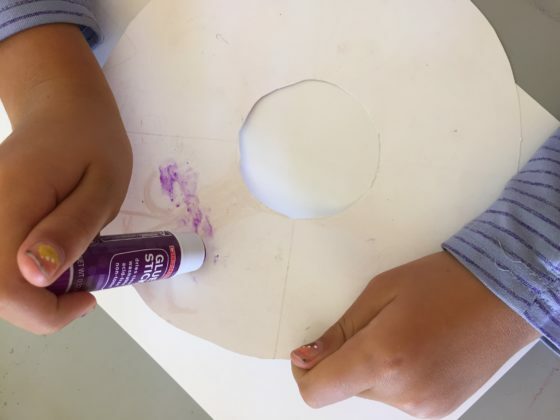 Put the rings on top of the backing paper and center them. 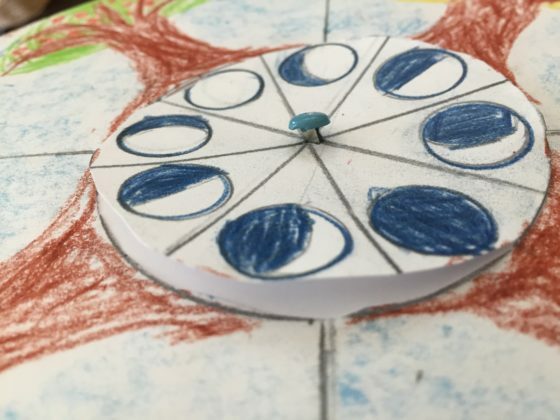 Push the brad through the hole in the backing paper. Secure it on the very back. 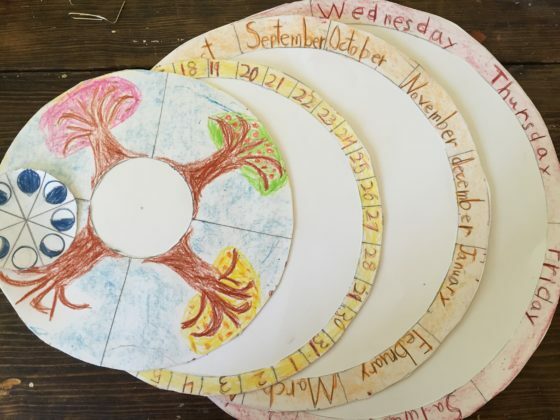 You can draw an arrow at the top of the backing paper, so that you can point to the appropriate parts of the calendar for each day of the week. You are now finished!